Today has been a day full of action and emotions for team Williams F1. 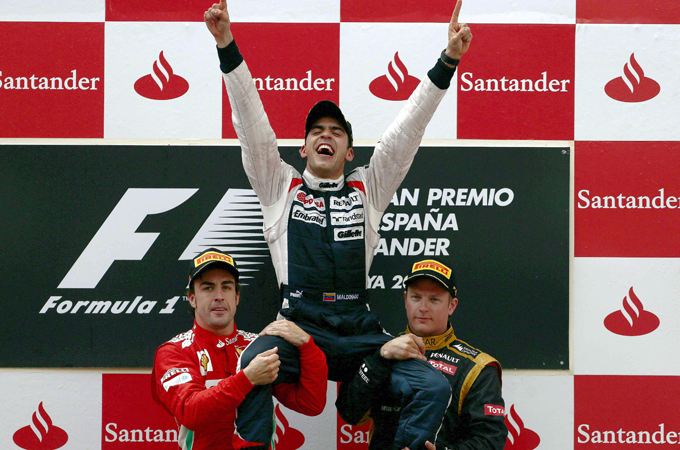 After 8 years a new victory has arrived, thanks to the south american racing driver Pastor Maldonado that sat for his first time on the highest step of the podium. The result of today is motivating for the whole team and sir Frank Williams, it shows also that this team is growing and the car is going well. The joy of this important result has been suddendly stopped due to a huge fire that took place in Williams' F1 box. The fire has been caused by a malfunction of the KERS system of Bruno Senna's F1, within a few minutes burning everything was inside the box. Looks like five technicians have been injured, the material damages caused by the fire are large, a victory that leaves a bad taste in mouth.